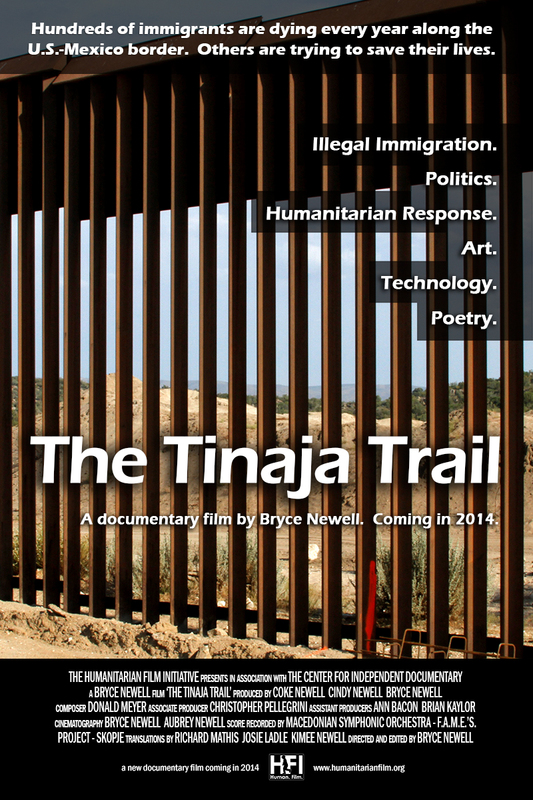 We are pleased to announce that after shuffling through various titles during production, the film has finally found its official name: The Tinaja Trail. The film is now substantially complete, although we do have some final audio work and color correction to do yet, and we have currently submitted to more than 25 film festivals. We look forward to announcing our world premiere as soon as possible in the coming months, hopefully in the first few months of 2014 as we begin to hear back from these festivals. Throughout this process we will begin fulfilling our rewards commitments to all of our wonderful backers. We’re also getting ready to debut a portion of the film in a museum. We’ve been invited to exhibit a short piece of the film, highlighting the Transborder Immigrant Tool, in a European museum as part of an exhibit on that project! Thanks to Ricardo Dominguez for this wonderful invitation and opportunity to showcase a portion of the film! More details to come soon. I also wanted to share a poster idea for your review – we’d love to get feedback on the style and layout of this prior to actually printing materials in preparation for the film festival circuit. Let us know what you think! ← Win a free digital download of the film!